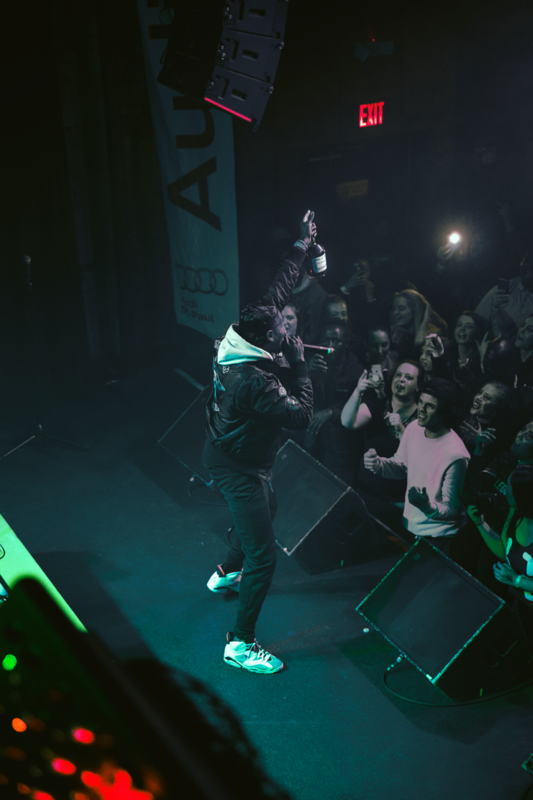 Thursday evening in the midst of yet another infamous Minnesota snowstorm, a crowd of hip hop enthusiasts rendezvoused at Fine Line Music Cafe in Downtown Minneapolis for the 15th installment of what is known as the Go Show curated by Go 95.3. 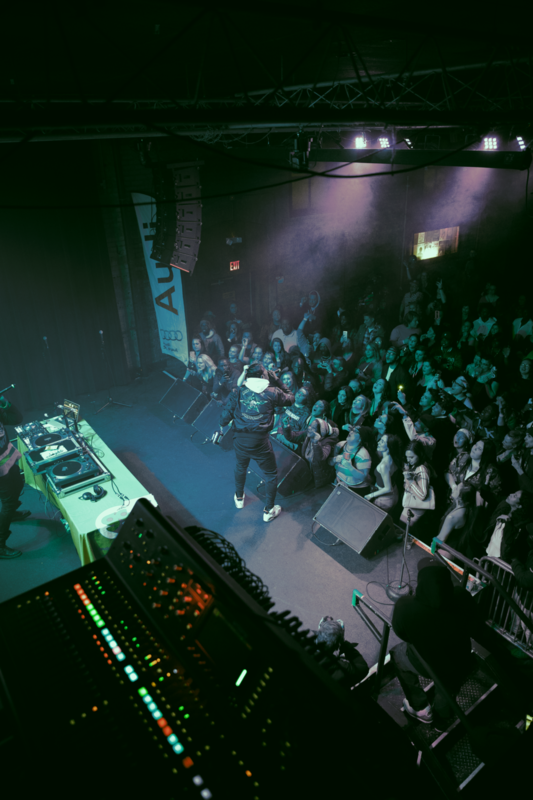 With a slew of openers, dancers and the best DJs in the city, I, among many other intoxicated concertgoers were in the presence of what makes the Minnesota music scene so great. 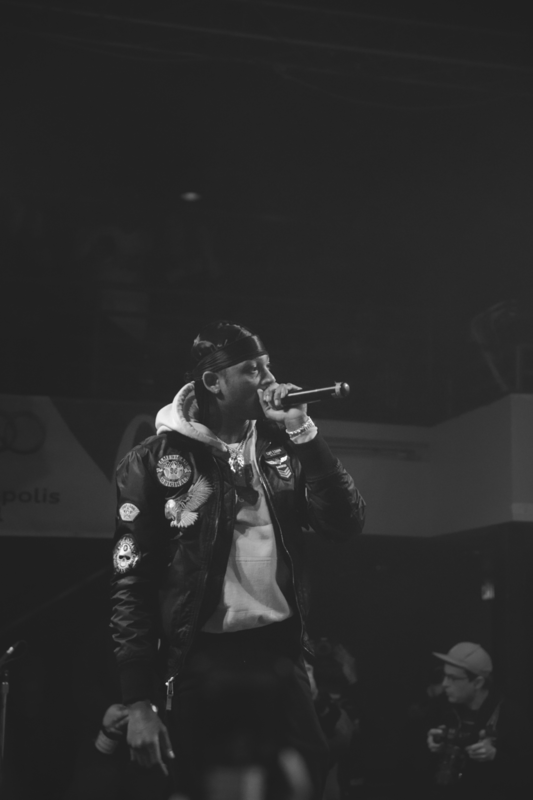 The headliner of the night was none other than the rising rapper/singer, Flipp Dinero. The evening commenced with performances from various artists such as Minnesota’s FreeGod Sa’Vii & SoloStar and Africa born, Brooklyn raised rapper, GASHI. I must admit, I was pleasantly surprised by his set & I wasn’t the only one. The stage presence and energy exuded by him was infectious. The love shown to Minnesota was definitely reciprocated. A set from DJ Advance set the vibe perfectly, getting us ready for the main act. Flipp Dinero hit the stage already lit, Henny in hand! Although Dinero is still a rising star, he surely knows how to entertain a crowd. A people pleaser, Flipp found himself dancing with fans, recording videos on their phones & even turnin up off stage all the while performing his hits. Despite a somewhat short set, he was sure to play numerous crowd favorites and y’all know he couldn’t leave without playing his hit song, Leave Me Alone. I’m eager to see what next for the New York native. Judging by the reactions of the audience, Go Show #15 was definitely a success! Culture Piece is looking forward what they have in store for the 16th installment!